By Netease game agent, honeydew interactive research and development of the future genuine music competitor Tour "First Sound Speed" recently released. Unlike other voice games, First Sound added a new AR game. Players can bring the future of the first sound in the game to the real world, break the dimension wall and take pictures of the future of the first sound, and share it with others by taking pictures. Not only does "First Sound" have AR play, in fact, there are many games on the market have joined AR play, and each has its own characteristics. Today, we will take stock of several domestic hand tours involving AR play. "First Sound Speed" is a pure Japanese music Racing Tour authorized by the future genuine version of the first sound. In the game, players can not only enjoy the future songs of the first sound while playing the game, but also compete with tourists, mirror ringtones, mirror links and other people on the same platform, so as to have a smooth racing! AR is added to the beta version of the game, so that the first tone can really break through the barrier of the dimension in the future. Players can bring the future of the first tone in the game to the real world through AR play, and share it with others by taking pictures. In the player's screen, the first tone will interact closely with everyone in the future, will jump, will dance and even greet friends in front of the screen. Imagine the future concert of the first sound that appears in holographic images all the year round and can only be seen at a high price in Japan. Now you only need to play "The First Sound Speed" on your mobile phone to break through the dimension wall to see it! Do you feel overvalued? The animation effect is rich and lifelike, and it can move and rotate. As the main self-research game of Netease, "Yin and Yang Shi", the aesthetic and ethereal style freehand brushwork and classical semi-instant round-robin RPG make it a real fire. How can such a hot game not try AR technology? This is not a new way of playing AR's calling god. Simply put, this game uses the mobile device's camera to scan the call array specified in the game, and then the gods in the game will appear in front of you! Many European players on Weibo say that the first SSR in life came from AR's Earthly Call (envious face). If you print out the spell or make it into a card, it's estimated that the "call" will be easier. From the effect point of view, the Yin-Yang division AR has better effect and more vivid animation effect than Pokemon Go, and the Style God will move and rotate according to the imprint on the paper, as if the Style God really came into reality, and he is the real Yin-Yang division. ~If you draw the desired Style God, you can take a picture with it. As the leading work of AR game market, "Long Dream" makes full use of ARKit technology and regards visual error as the core of game puzzle design. It solves the hidden puzzle of switch cards by combining and activating the objects in the scene through various operation modes such as moving lens, touch and click. Apart from solving puzzles, the game is a bit special. You can't stand there and solve the puzzle, but you have to move to find the angle through the mobile phone to solve the puzzle. When you play, the outsider looks like you're a weirdo who turns around the table and stares at it violently. Not only that, you can work with your friends to solve puzzles, which greatly increases the fun of AR puzzles. In addition to the full range of AR scene interaction experience, the emotional plot and six high-quality original music of Cure Department, together with the beautiful and dreamlike scene painting style of islands, relics, churches and so on, will bring you a different audio-visual enjoyment in the process of solving puzzles at each level. Dawn Calls Dragon: Dragon Soul vs AR is Netease's first true VR Oriental Fantasy Adventure ARPG. This game is based on Netease's first VR game, Dawn Calls Dragon, which is a derivative work inspired by the ancient Chinese traditional culture of "Double Dragon Dragon Dragon Ball" and "Dragon Drawing Water". The game is a two-player competitive game. You can control the dragon soul with your partner to defeat your opponent. Due to some limitations of AR games, the playing method of AR games is still slightly simple, but the placing skills are not supported by other playing methods, which is a bit monotonous. But the graphical effect of the game can be considered very good in AR games. Through the mobile phone, the player can clearly see every detail of the Dragon soul, as if the real came to you and launched a battle, all kinds of vivid effects as if they were in the situation. "Town Magic Music" is made by the original group of people and horses, which has six major occupations and 18 fighting schools, and the classic iron triangle of war law and animal husbandry. It also realizes the film quality of the next generation on the screen. What will AR look like when it comes to such high-quality hand-swimming? Everywhere can be a new scenic spot. A fantastic work that combines the virtual and the real world is born with the use of facial expressions, gestures, beauty shooting systems and so on. Of course, the beauty of this AR system is not only that it brings players accessible game characters, but also that players can invite online friends to realize the "reality of traveling with each other" in the photo system. Through AR, the original two independent individual players in the photo system will achieve the same frame, and will come to the real environment together - this is the correct position of Soune Eriki! "Dahua Westward Journey" is a turn-based role-playing mobile game developed by Netease based on the original content of "New Dahua Westward Journey 2". Hand-Tour continues the game background and settings of New Talk Journey to the West 2. 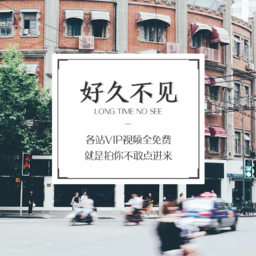 At the same time, the classic play method and social system of end-Tour are also transplanted to the hand-Tour version after optimizing the characteristics of mobile platform. With the help of AR technology, summoning beasts can not only swim from end to hand, but also cross to reality. Can you imagine capturing the fullness of the Princess of the Spirit in reality? In reality, you can meet all kinds of vigorous summoning animals through mobile phone cameras, and catch them as pets with you, and the probability of capturing precious discolored pets is greatly improved! What a killing two birds with one stone! All kinds of colorful babies are waiting to meet their masters. Don't you come and catch one? Not only that, but you can also experience the joy and surprise of opening the reward box in reality, and come to a reality version of Kaibao! And all of these will become reality in the hand tour of Dahua Journey to the West! Tribal Conflict, already five years old, is still one of the most profitable games, and now it decides to break the barrier and connect AR technology with the real world! Supercell also made a sensational trailer for the project: a building laboriously built by a construction worker was destroyed repeatedly in the war and reduced to ruins. Finally, he packed up his bags and was ready to start anew uuuuuuuuuuu Then we come to our real world! You can squeeze your eyebrows, but your big eyebrows will always follow you. And when you look around the camera, you can integrate the construction workers into the real world, like playing Pokemon Go, and let the distressed builders out of the game and have a good time!